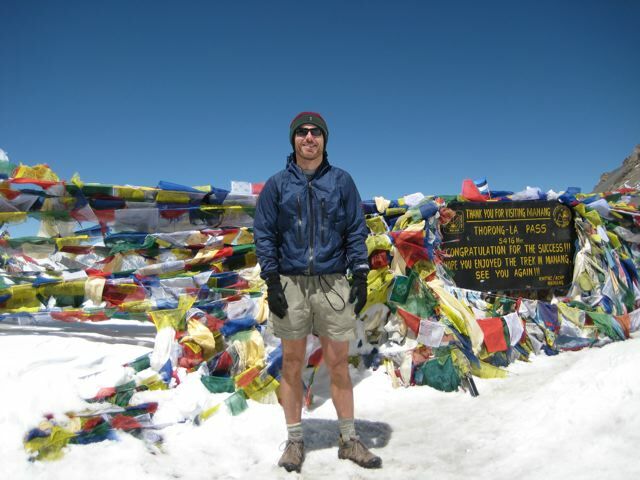 The author at Thorung-La Pass – Highest point of the Annapurna Circuit. 12 to 14 days. Add on an extra 2 days if you do the side trip up to Tilicho Lake. 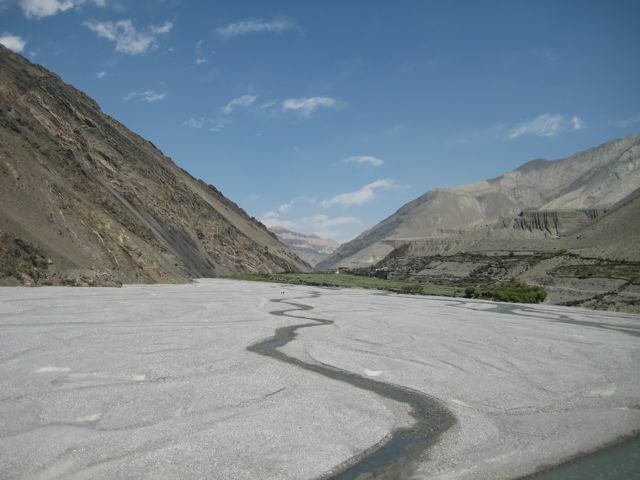 Besi Sahar – Naya Pul or Phedi. Regular public transport is available to both trailheads from Pokhara and Kathmandu. October/November and March/April are best weather-wise. Go for the latter if you want to avoid the crowds. December to February can be brutally cold, and Thorung La (the highest point on the trail at 5416 metres) is usually closed. In addition, I used the Nepa Maps 1:150,000 Around Annapurna Pocket map. An excellent map, containing all the detail you will need for both the Circuit and Sanctuary treks. It is widely available in Kathmandu, and at around US$3 represents very good value. As one of the world’s most famous treks, there is definitely no shortage of information when it comes to the Annapurna Circuit. In addition to the Lonely Planet guide listed above, other guidebooks include those by Trailblazer Publications & Cicerone Press. If you would like to purchase a map online for planning purposes before arriving in Nepal, try the National Geographic Annapurna Map or Schneider’s Annapurna Trekking map. All meals and supplies can be bought along the way. Accommodation can be found at the often atmospheric and invariably affordable teahouses. In other words, there is absolutely no reason why you should be carrying a heavy pack on this walk. The curcuit is well marked and easy to follow from start to finish. Try hiking early in the morning or late in the afternoon to avoid the crowds and whenever possible, take alternative routes that avoid dirt roads. Don’t miss the high route between Upper Pisang and Manang. It adds on a few hours, but the views are amongst the best of the entire trek. In additon, the villages of Ghyaru and Ngawal were two of my favourites. If you have the time, the side trip up to Tilicho Tal (4920m) from Manang is spectacular (don’t leave your spare camera battery in Manang!). It adds on an extra two or three days, but will hold you in good stead in regards to acclimatisation once you reach Thorung La. If you are fit, well acclimatized (eg. if you did the side trip up to Tilicho Tal) and carrying a small pack, you might consider staying at Yak Kharka (4020m) or Letdar (4230m) on your final night before heading over the Thorung La. Remember that when it comes to altitude, it is not so much the height you reach during the day, but instead the altitude at which you sleep at night which is the most important factor. 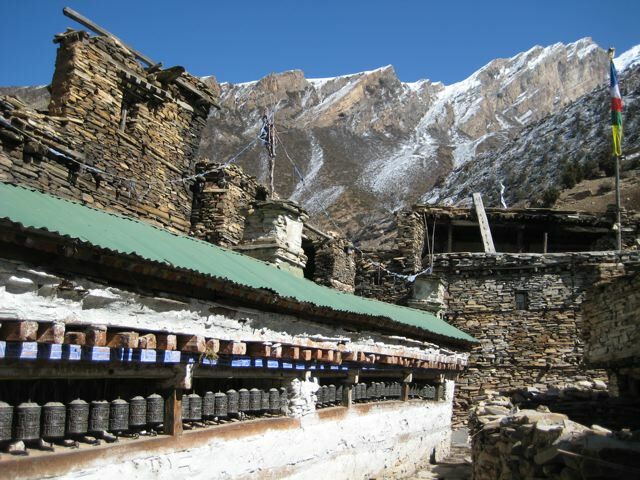 The traditional spot to stay on the final night is Thorung Phedi (4540m), which is usually crowded, cold and full of restless trekkers unable to sleep because of the altitude. From a trekker’s perspective, the eastern side of the Annapurna massif is more enjoyable than the west, partly due to the construction of dirt roads along much of the latter. Fortunately, large sections of this increasingly busy road can be avoided by taking the alternative routes listed in the Lonely Planet Guide mentioned above. Highlights on the western side of the Annapurna massif, include the fascinating and wonderfully situated village of Kagbeni, and the increasingly touristy, but still charming Thakali village of Marpha. One side trip which I didn’t personally do, but have heard raves about from other hikers is the ascent to Dhaulagiri Icefall. It can be done as a day walk from Larjung, and from all reports the scenery is spectacular. If you would like to link the Curcuit up with the Annapurna Sanctuary Trek, thirty minutes south of Tatopani (worth a stop for the hot springs) cross the Kali Gandaki and Ghar Khola rivers and begin the long climb up to Ghorepani. From Ghorepani, head east to Tadapani. Leave the tent at home and enjoy the hospitality, good food and occasional hot shower on offer at the tea houses. Recommended spots to stay include Ghyaru (amazing views), Kagbeni and Tatopani (good food and hot springs). Places to avoid: Muktinath and Jomsom. Despite the dirt roads and increasing popularity, the Annapurna curcuit remains a wonderful trek. Quite simply, it is a gorgeous area which offers the trekker spectacular mountain scenery and a glimpse (albeit a somewhat touristy one) into Nepalese village life. That being said, the time to do it is now! It is inevitable that much of the charm and beauty which makes the Annapurna Circuit a classic, will slowly but surely be eroded as the wheels of progress continue to roll on. The Tea Houses mean that you never have to carry a heavy pack and the trail is well marked throughout, meaning that you don’t have to be an expert navigator in order to find your way. 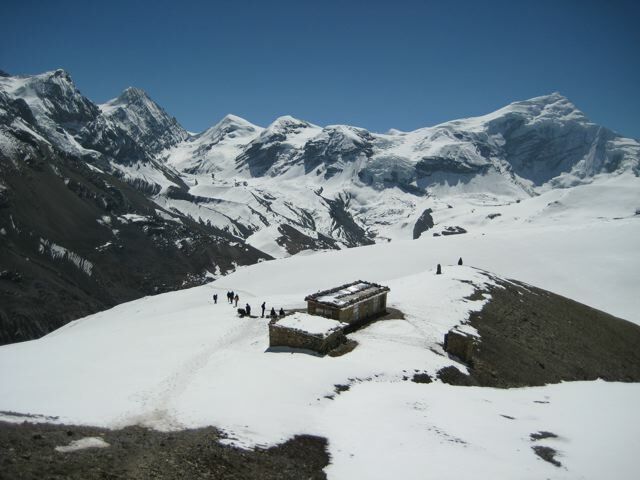 If you are looking for solitude and a “pure” Himalayan experience, this is not the trek for you. However, if you can leave your preconceptions at home and accept the experience for what it is, you will most probably have a fantastic time.